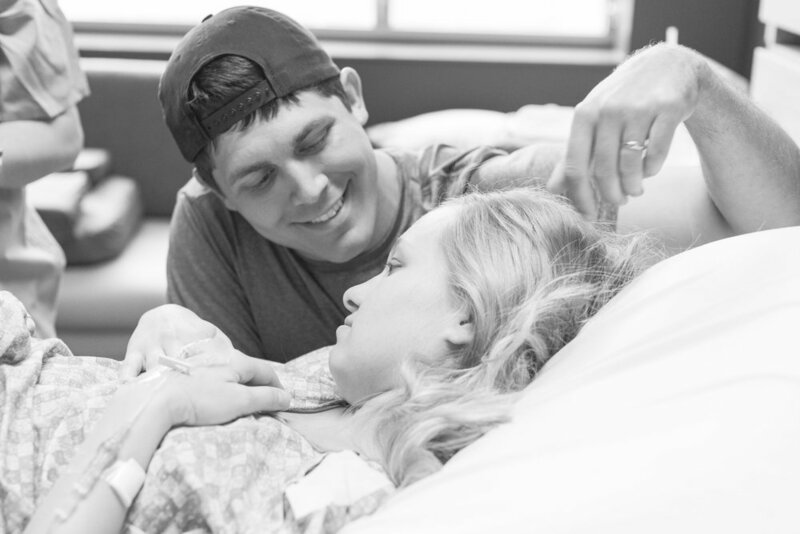 What can I expect from my birth photographer? 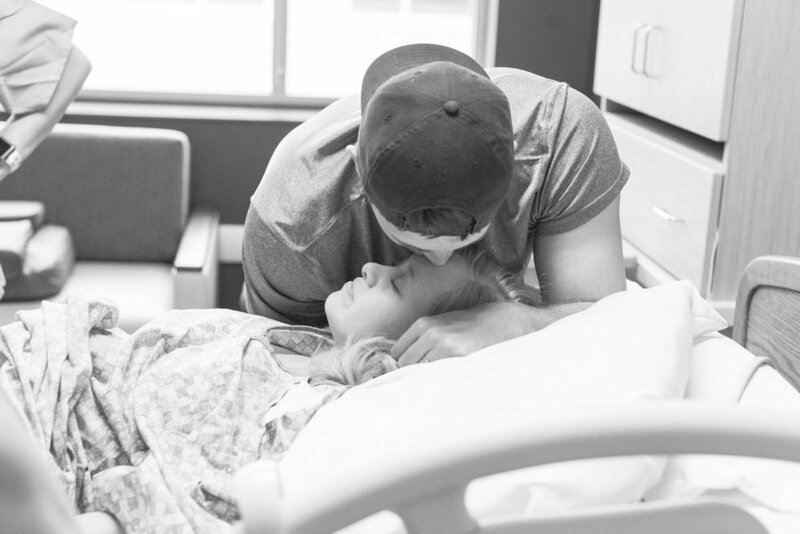 I will be by your side from the time you’re admitted until two hours after the baby is born to capture all of the intense and special moments. I am more than just your photographer during this time- if you and your spouse ever need anything during the day I am always your go-to person. I become your temporary best friend who holds your hand, gets you ice chips, and even the person to put your dry shampoo in and wipe your face if you find yourself wanting a little pamper and “freshen up”. When should I be contacting you? The more information I have, the better. For example- a quick update from your last few doctors appointments you have (just how your progressing, if you’re dilated, etc), if you start feeling contractions, and any other details you feel comfortable telling me. As soon as you’re on the way to the hospital please shoot me a text, and then keep me in the loop if you’re admitted or get sent home. Do you have to be there when I get admitted? No, but you never know how quickly things can progress and happen. 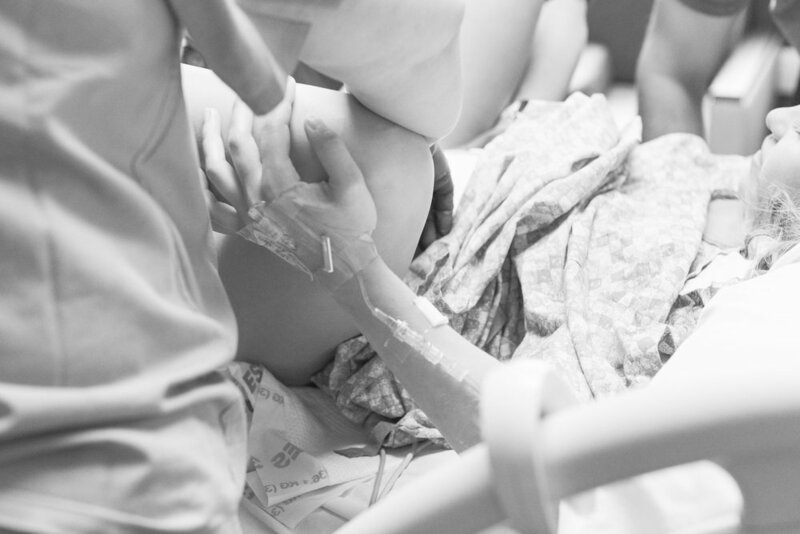 I’d prefer to be there and stay for the long haul and know I’m there for everything than risk the possibility of missing the birth because we waited too long to get me to the hospital. If you prefer to wait, the latest point I should show up is 4 cm dilated- after you reach 4 cm usually your body is quick to get the baby out! What if I get induced? If you are induced it usually happens at night so overnight your body can get help through modern medicine. When this occurs I show up in the morning after you are up, or once you are at 4 cm (when I arrive is up to you!). I was induced and my photographer got there around 9 am the next morning. This was perfect because it allowed a few more hours of Patrick and I by ourselves and let us get a few more hours of rest before the big day. 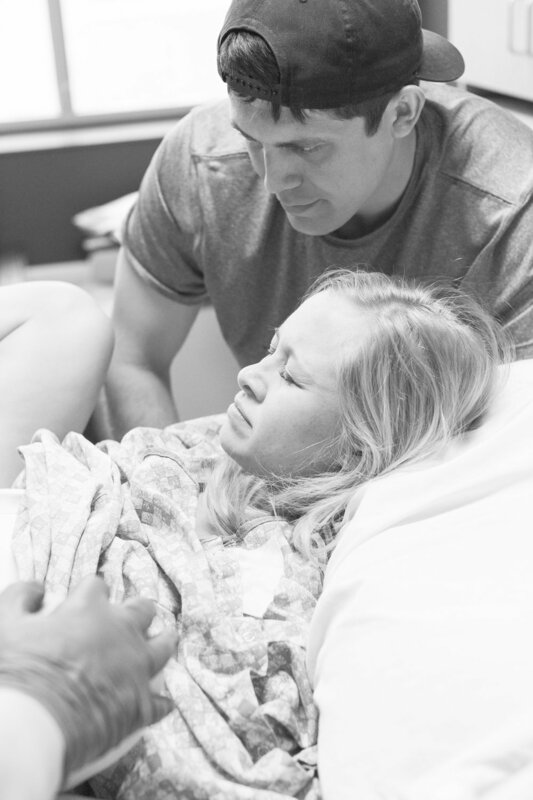 What can I expect from you throughout the labor & delivery? During this time think of me as a fly on the wall. I’ll be capturing the little details, everything from the quiet moments to the big moment of the arrival of your sweet babe. 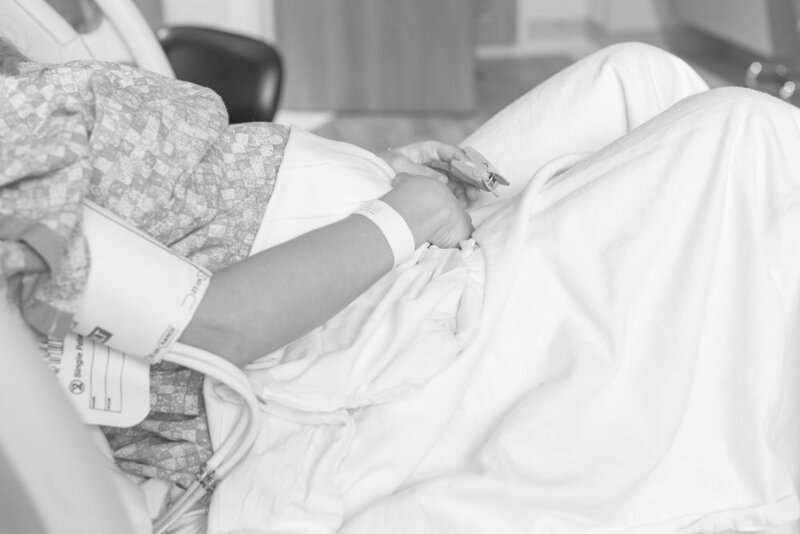 During the final pushing and delivery I will be on one side of you, usually the opposite of your spouse, with the nurses, above your waistline. I stay after to get some pictures of each parent with your new love, and a few family pictures. This is also a great time to introduce your baby to family members, and I can capture their first reactions and moments with the baby as well! 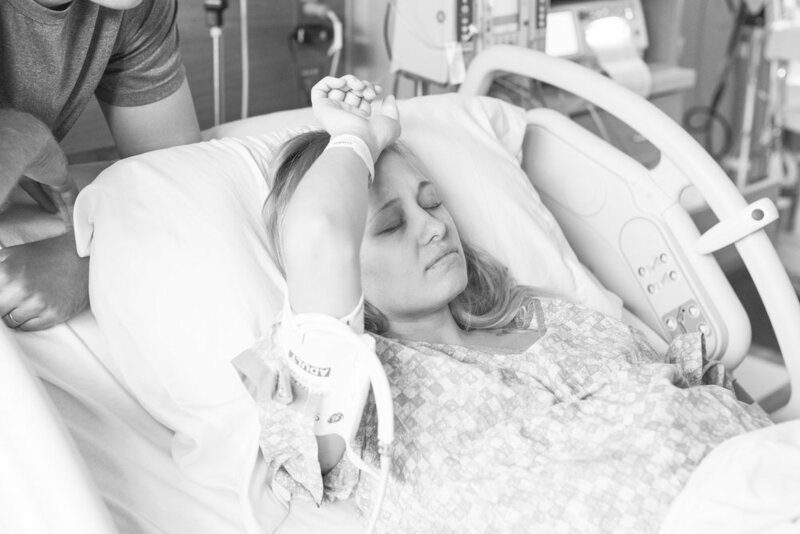 Most hospitals only allow one person in the OR with you, so usually your husband is with you. Some hospitals will allow me to be in the room in the case of a C-Section, but I will be further back instead of on your side. This is a good question for your doctor, as they would be able to tell you for sure if I will be allowed in that room. If you do have a c-section and I am not in the room I stay and get pictures of you and the baby as soon as I am allowed. Like your wedding day, birth photography is an investment for a once in a lifetime occurrence that you will never be able to relive again. Since we never know when you’ll go into labor my schedule is cleared the week before and after your due date to ensure I’m available and quick on my feet to get to you when the time comes. I’m also with you throughout the whole time- from 8 hours to 18- I’ll be with you and your spouse to capture the day. How many high resolution images will I receive? This all depends on how long your labor takes, but I ensure you that I will always give you all of the images that I am proud of. 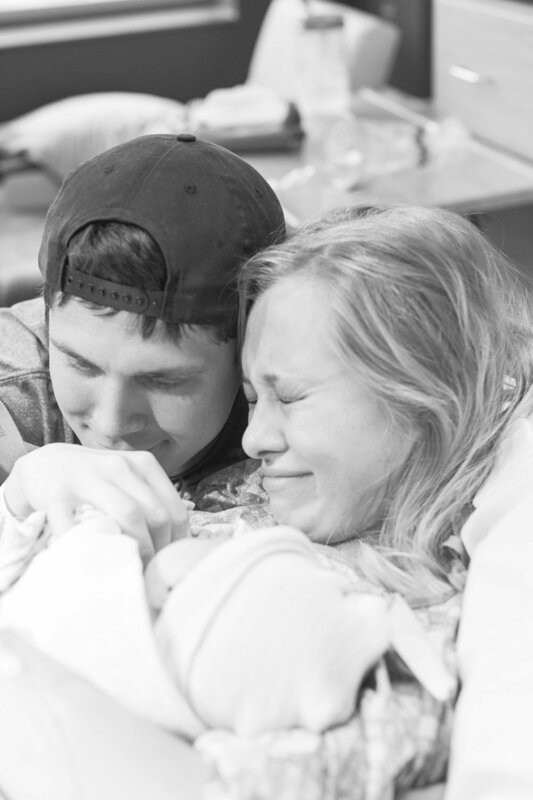 For example, my last birth story was 8 hours and the family got over 500 images of the day. I promise you will have enough! Through PixieSet, an online gallery that will let you instantly download your pictures to your computer. How quickly will I receive my images? I will give you a few sneak peaks within the first 24 hours of your baby's arrival, but your full gallery will be completed within 3-4 weeks. Full payment is required before I release your images to you.